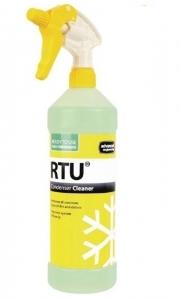 The RTU condenser cleaner from advanced Engineering comes in an easy to use 1 litre bottle. 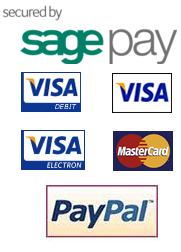 This cleaner is ideal for use as part of a regular maintenance programme. Highly effective at removing all common types of dirt and debris, it also has a biodegradable formula that is very safe to use. 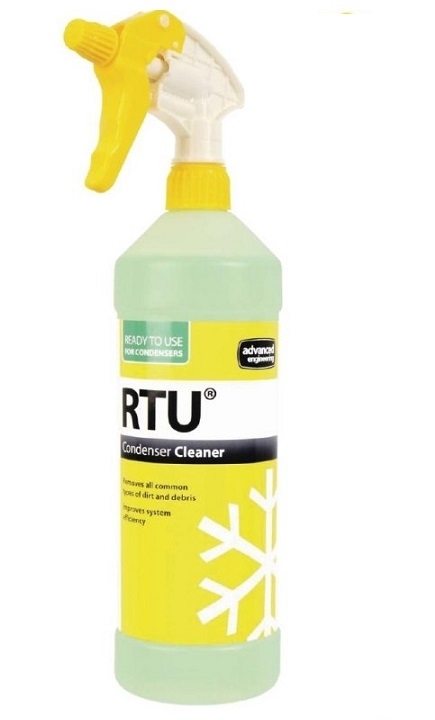 Unlike some acidic condenser cleaners this condenser cleaner can also be used on condenser units located indoors making it a very flexible product.